It is rather common for people to ask us “What is SEO?” In fact, that’s such a common question that we frequently start conversations with potential clients by asking them if they know what SEO is. Search engine optimization, commonly referred to as SEO, is a marketing strategy that helps improve the visibility of a website on search engines like Google, Yahoo and Bing. When someone Google searches a phrase, search engine optimized content has a higher chance of being one of the first results seen. 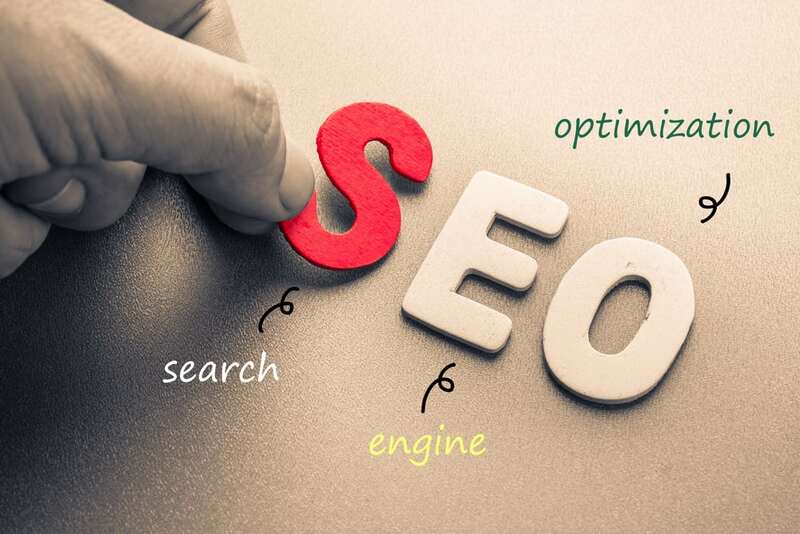 Because SEO can be very difficult to understand, this post will cover many of the facets you should be aware of, prior to implementing SEO into your marketing strategy. As mentioned earlier, SEO stands for search engine optimization. There are two types of SEO you can use. There is on-site SEO and off-site SEO. On-site, or on-page, SEO is the practice of making your actual website attractive to Google. Off-site, or off-page, SEO is all optimization that occurs without actually making any changes to your website. All off-site SEO is done by editing other websites. The general idea of on-site SEO is to have certain keywords woven into your content, so when someone does a Google search for those keywords, your website is more likely to be one of the first results listed. Content that is not optimized for search engines probably won’t even show up on the first page of a Google search. This is a problem for the website owner because people rarely make it past the first page of a Google search, especially when they are searching for information. Can you remember the last time you searched for an answer to a question and made it to the second or even third page of Google? This is why on-site SEO is so important if you are publishing content on your website. Off-site SEO, on the other hand, is done by creating quality links from other websites. When other websites share links that lead to your website, or when people share your link on social media, that is also SEO. The practice of acquiring links from other websites is called “backlinking” and every link that comes to your website is called a “backlink.” When other websites have backlinks pointed to your website, Google uses this as an indicator that your website is of good quality. There is a common misconception that only bloggers will find SEO to be helpful. The truth is, the owner of just about any type of website can and should implement SEO into their marketing strategy. Even if your company does not have its own blog, you can still use SEO to help gain organic traffic. If you feel your website does not have many opportunities to practice on-site SEO, you can still practice off-site SEO. On-site SEO is especially great for not only bloggers, but also creative writers, journalists, and any website that is regularly putting out content. Off-site SEO is great if you run a website that does not produce much content. Although you may not be able to produce content on your website, you should be able to create backlinks on other websites, which will help you if done correctly. With that being said, virtually any website owner can benefit from a blog, whether it’s a baker, a residential broker, an auto repair shop or a school. Adopting SEO into your marketing strategy is relatively inexpensive and is beneficial for any website. SEO can be complicated, but once you have it figured out, you’re good to go. Google is constantly changing their algorithm, making it more and more challenging for smaller websites to reach the top of search results. Google is also getting more complex with the way they decide who should appear first in their search results. On-site SEO works like this: The website that has a combination of the keywords being searched for, quality content, and a good amount of traffic, will be ranked higher on Google than other websites that are not properly targeting keywords and have less traffic. This is a bit of an over-simplification, but for the most part, it’s accurate. In short and simple terms, when you practice on-site SEO with your website, you are more likely to reach the top of Google’s results. With off-site SEO, you can still outrank competitors if your website does not have a lot of content. Google takes into account how many websites link back to your website. It also considers the quality of the websites that are backlinking to you. Try adding social share buttons to your website to increase the number of times your website is shared on social media. You can also add comments on related content that include a link to your blog. You should look into adopting an SEO strategy for a few reasons. The first reason is that when you do start optimizing your content, you will begin to see an increase in organic search traffic. Organic search traffic, also known as free traffic, will help minimize the need for a paid traffic campaign, thus saving you money. Another great reason you should optimize your content is that once you do, you will always be running more traffic to your website. Paid traffic only works while a campaign is running. Once you turn off your paid traffic campaign, you will immediately stop seeing a constant flow of traffic to your website. Even when you do not have a paid traffic campaign running, search engine optimized content should always drive traffic to your website, while paid traffic will only occur while you are spending on it. When you do have a constant flow of traffic, you are more likely to be one of the first search results. It may take a while for your website to rank well on Google. 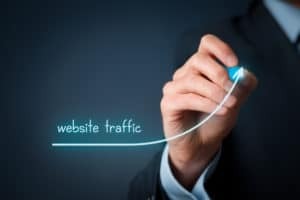 As mentioned, the amount of traffic you receive on your website is very important, as Google considers it for their rankings. Be patient with the SEO process while your traffic increases, and while others are sharing your content on their website and on social media. You can start implementing on-site SEO with your content by using an SEO tool. There are many tools that you can use that vary in price range. These tools will show you the number of times your keyword is searched, how competitive that keyword is, and more. You want to find the perfect keyword that’s frequently searched in your area, each month, but also not frequently targeted by your competitors’ websites. For example, if you want to target the keyword phrase, “beige pants” in a blog post, you will want to see that “beige pants” is searched for frequently. You will also want to be sure that your competitors are not using “beige pants” on their website. You will want to use this keyword phrase in your title, throughout your content, and in your headings. To continue with the beige pants example, a good title would be, “10 Reasons to Wear Beige Pants to Work,” and then have subheadings like, “1. Beige Pants are Professional.” Also, try to mention “beige pants” several times in the body of your page or blog post. If your budget does not allow you to purchase an SEO tool, there are some ways to help you select a keyword for free. One great way is using the free tool offered by Google AdWords. This will help you to get a good idea of the number of searches your keyword gets per month. SEO tools are recommended, but this is a free option to get you started. With off-site SEO, you can still outrank competitors without regularly publishing content. 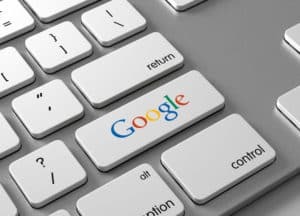 Luckily, Google takes into account how many websites link back to your website, and how many shares your website has received on social media. Try adding social share buttons to your website to increase the number of times your website is shared on social media. You can also add comments on related content that include a link to your blog. The more your website is shared online, the more likely it will be ranked higher in search results. Make sure your website is being shared from other high-quality websites, because Google also considers that when ranking your website. Google has a very human-like algorithm, and Google also has real humans evaluate websites to ensure they feature the best content in the first few search results. It’s incredibly important that your website has high-quality content people will actually want to read. Do not publish low-quality content that seems bogus. There’s no point in practicing an SEO strategy if Google is just going to flag you for having a low-quality website. If you have a good, quality website that is properly optimized and shared amongst others, you will see an increase in your organic traffic. Remember to be patient with this process. For more information on SEO, or for some help to get started, please fill out the form below!